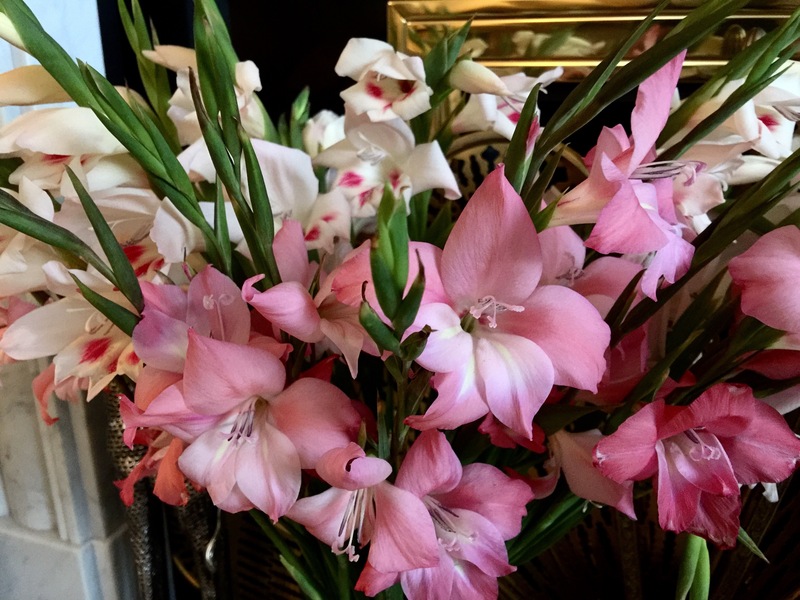 I bought these lovely gladioli to brighten up the place. Today was tedious beyond belief, the weather was lousy and the only interesting thing that happened was that my neighbour started moving his stuff out of his house. Bertie is not interested in flowers? Parker thinks they are a brand new toy for her! Bertie has no interest in flowers. He does play with and eat flies and spiders which is more useful.